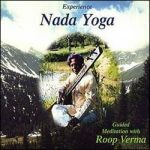 Nada Yoga is the path of exploring consciousness through sacred music. It is one of the most direct ways to access the field of Higher Self where the distinction between the real and unreal can be identified. The aim of Nada Yoga is to purify and harmonize the gross and subtle bodies in alignment with their natural vibration. It is the opening of the door on the level of spiritual awareness when consciousness becomes conscious of itself. It is from that state that spiritual transformation begins in a most natural way. All our experiences of love, joy, peace, health and happiness are orchestrated by consciousness from that field. Sacred musical sounds have a natural harmony between them. When they are combined in a specific scientific manner, according to universal laws of harmony identified by the ancient mystics of India, they have the power to balance the energies of the body and transform the modes of thinking and feeling. Once one enters the field of feelings, the transformation of all aspects of one's life begins. When we combine music with poetry, feelings become even more powerful. Many of India's great saints like Swami Hari Das, Sur Das, Meera Bai, Kabir, Nanak, and many others were also fine musicians. They were very instrumental in keeping the very culture focused towards the spiritual dimension, irrespective of what was going on in the political arena of the country. This happened not only in India but elsewhere too. Research has shown us how music influences life on earth. 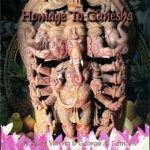 In world mythology, we read the description of Gandharvas, Kinners, and Angels playing string instruments and singing songs of love and joy, reminding us of our divine nature and inherent godly qualities. Their music has helped humankind overcome differences and evolve to higher levels of knowledge and understanding. Listening to sacred music, we enter into that state of natural harmony from which we arose. The sound has an unmistakable effect on the human body and mind. It can utterly transform our process of thinking and feeling. Above all, it promotes our perception of the greater harmony among all things. 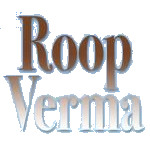 Roop Verma's music maintains the sacred musical tradition of India in its pure form. 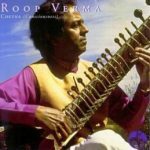 Roop Verma is a world-renowned Indian musician; a nada yoga master of the balancing and therapeutic sounds of the Indian Sitar. 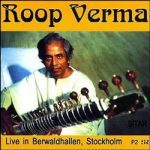 He studied music in the ancient oral 'master-pupil' tradition from India's great maestros - Ustad Ali Akbar Khan and Pandit Ravi Shankar and Nada Yoga from Swami Shyam of the Himalayas and Sri Brahmananda Saraswati, the great pioneer of yoga in the West. 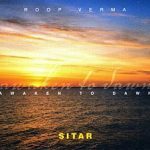 He conveys absolute purity of tone and profoundly balancing, meditative and harmonizing qualities in his sacred music.